consists of many paths until a destination is reached. pushing one foot in front of the other. And this, is the life of a poet. 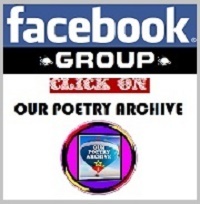 Our Poetry Archive sings the melody of thought and expression of every contributed word. 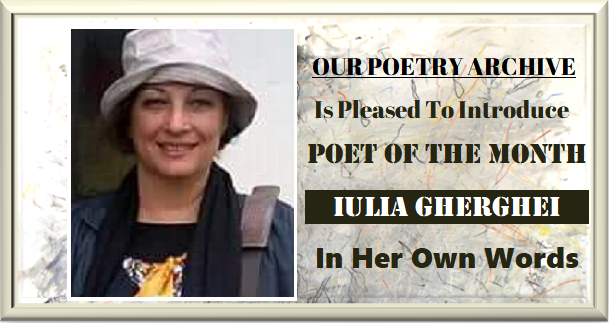 We applaud you for your support and congratulate each individual poet on your personal success as a writer. We also thank our readers, who support the numbers of Our Poetry Archive. The Editorial Desk is also excited to introduce April 2018’s Poet of the Month Tarana Turan Rehimli of Azerbaijan. We remain obliged to her for her kind support. Please take your valued time and enjoy the talent Our Poetry Archive has added to the April 2018 General Edition. We are also introducing fifteen new poets and poetess from different part sof the world representing diverse literary traditions and cultural heritage. With this note we would also like to thank poet Agron Shele who has invited ten new poets and poetess himself. 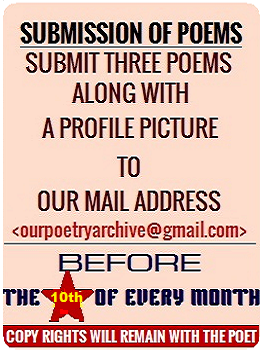 Those who would like to participate in our upcoming editions, please send at least three poems and a profile picture, along with the explicit confirmation, of your permission, for the publication of your copyrighted materials in OPA well before the 20th of every month. If you write in another language, please send your 3 poems both in English and your native language. Also, please specify, in the subject line of your email, which edition you are submitting to, to avoid any confusion, and to assure your poems are published in the correct edition. 3) No line limits for the poems. 5) The Anthology will be published only over the internet. No Hard Copy will be published. 7) Current Profile picture is mandatory! We cannot publish any poems without the poet’s profile picture. 9) .PDF file will not be accepted. 10) All the poems along with the Author’s short BIO and the explicit confirmation of poet’s permission should be send only in one MS-WORD file. 11) Copyright will remain only with the poets. We look forward to receiving and reading your poems! The continued support of this literary online journal goes BEYOND BORDERS! ALICJA KUBERSKA: What does poetry mean to you? TARANA TURAN RAHIMLI: For me, poetry is a divine word. This is a gift from God, who has no connection with the Earth. If God did not give poetic talent, I could not write a poem. Poetry is like an angelic song. And we compose this song with the help of God. In the eastern literature poets are valued as prophets. After the Prophets, poets are considered to be close to God. I think that this is not an accident. This is confirmation of my attitude to poetry. ALICJA KUBERSKA: What’s according to you the meaning of poetry in the contemporary world? TARANA TURAN RAHIMLI: In my interviews I frequently face this question. I think poetry is the biggest policy. Poetry is the best way to influence the deep layers of human consciousness. When political speeches did not affect public consciousness, the rulers used the influence of poetry. This took place throughout history. The most influential and talented poets were invited to live in palaces. Because they must serve the policy of their country directly with their verses. Today poetry is not only to relax our soul, our taste. It has a deeper meaning. In times of wars, poetry is the best way to influence the human heart and the human brain. In the era of wars, we must use the power of poetry. In my opinion, the meaning of poetry is important to direct for this purpose. ALICJA KUBERSKA: Can you describe your creative process while writing a new poem? TARANA TURAN RAHIMLI: It's very simple. Most of my poems I wrote in the night. And I do not think that I'll sit at the writing desk and write poetry now. One topic makes me think. And one day... When I go to bed at midnight, one line of an unwritten poem "trembles" my brain, and then another line is born ... and I have to get up and write this poem that does not allow me to sleep. All my poems have gone through this creative process. ALICJA KUBERSKA: Did it happen to you that a poem was just your dream ? TARANA TURAN RAHIMLI: It was so, I wanted to write a poem about a specific topic (about my mother), but I could not write. My fear that I could not write a decent poem about my mother, prevented me. Later this poem became my dream. This poem still remains as a dream. ALICJA KUBERSKA: Tell us about your inspiration. What’re the most important subjects to you? TARANA TURAN RAHIMLI: My source of inspiration is my Motherland, my family and God's love. The theme of my poems is different. I do not choose a topic, my observation of life implies a topic. MARIA MIRAGLIA: Which were the emotions that inspired your first verses? MARIA MIRAGLIA: Was your aspiration to become a poet or did all happen by chance? TARANA TURAN RAHIMLI: I have loved literature since childhood. But I never thought about becoming a poet. In my opinion, poetry is not a profession that can be chosen . I do not think this is a coincidence. There is no coincidence in life. Everything we live in is what God knows for us. We call coincidences what we do not know. MARIA MIRAGLIA: Who is the first person you read your poems to and why? TARANA TURAN RAHIMLI: : First I read my poems to my daughters. Because they are very young. And the idea of a young man is always fresh, so their thoughts interest me more. MARIA MIRAGLIA: Have you published any poetic anthology, if so what did you feel the first time you got it in your hands? TARANA TURAN RAHIMLI: : Yes, the anthology of poetry, which I first published, was called Steps (1996). I was chairman of the Poetry Association called Steps. The name of the anthology was the same as the name of the association. At that time I was very young, and my first book of poems had not yet been published. It was so nice when I first took this anthology in my hands ... As if my book was published. This joy can not be expressed in words. I was very proud of my work. MARIA MIRAGLIA: Who are the poets you prefer reading? Do you get inspiration from them? 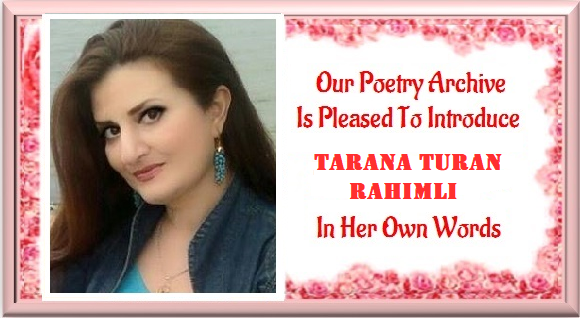 TARANA TURAN RAHIMLI: There are many poets and writers in the world literature, which I love.. It is natural. Because I teach world literature at the university. But my most favourite poets are in Azerbaijan Mohammed Fizuli, in Europe Victor Hugo. APRILIA ZANK: How important is accessibility of meaning to you? Do you challenge the readers to work hard to decipher your poems, or do you prefer transparency of meaning? TARANA TURAN RAHIMLI: Of course, every poet wants the reader to understand it. But when writing poetry, he does not think about it, he remains committed to his artistic style and the requirements of the topic. I am also. I do not care if the reader understands my poem easily, or vice versa. The authors do not think about such problems during the creative process. But, like all poets, for me the love of readers is also important. APRILIA ZANK: What kind of poems do you write mostly? Do you have recurring themes, or are all your poems unique? TARANA TURAN RAHIMLI: It is difficult to answer this question. This can tell the reader, literary criticism, how much I repeat myself or not. Only I can say that there is no limit to the theme in my work. Sometimes I can turn again to the same topic. But this will not be a repetition of the same poem that I wrote earlier on this topic. APRILIA ZANK: Do you think your poetry is typically feminine / masculine? If yes, in what way? TARANA TURAN RAHIMLI: In past centuries, such an idea was formed in society: women can not write poetry (romance, etc.). George Sand (Amantine Lucille Aurora Dupin), Sisters Charlotte, Emily and Anna Bronte, Louise May Olcott, George Elliot (Mary Ann Evans) and others, wrote their work under the names of men. But their creativity is stronger, despite what is feminine. I think that women write differently. They are mysterious when they write, and they deeply touch the human soul. This is due to femininity. I also write a woman, and my poems are feminine. APRILIA ZANK: Do you write mostly about yourself, or do you also have an open eye /ear for the issues of the world? TARANA TURAN RAHIMLI: If a writer writes only about himself, it is his inability. All my poems have messages to the world. Even in my love poems. A smart reader can immediately understand this. APRILIA ZANK: In what way is your poetry different from that of other poets? TERANE TURAN REHIMLI: I have no idea about this. Or I do not want to move away from humility. LEYLA IŞIK: What are the main factors to make poetry real poetry? TARANA TURAN RAHIMLI: The real poem should be sincere, the poet should be able to convince the reader. The poet cannot convince the reader of the truth, in which he himself does not believe. Therefore, the most important factor is sincerity. The poet must write down those things that he knows very well. He should not confuse the reader with a topic he does not know deeply. The poet should not fit into the time frame. Real poetry marches ahead of time. The poet should not even repeat his thoughts, he should always try to say a new word. LEYLA IŞIK: Do you think imagery is important in poetry? Where does the importance of imagery begin in a poem, where does it end? TARANA TURAN RAHIMLI: : In my opinion, the image is very important in poetry. However, the dynamics of this image does not recognize any boundaries. LEYLA IŞIK: What are the most used types of poetry in your country? TARANA TURAN RAHIMLI: The most popular kind of poems in azerbaijan literature is syllable.we are the nation which historically write on aruz and syllable kind.but it is more interest to free poem last years and the number of these poets increase.I also write the poems on two of them: on aruz and sullable. LEYLA IŞIK: What’s important to be a good poet? To write good poems? TARANA TURAN RAHIMLI: To be a good poet, you need to have a nice and wide heart. A good poet should be a loyal person. LEYLA IŞIK: Who are the most important poets and their main properties nowadeys? TARANA TURAN RAHIMLI: I do not want to show specific names. But there are many important poets. They do not write for glory, but write so that everyone will hear the voice of their souls. DEBORAH BROOKS LANGFORD: Understanding poetry begins with visualizing the central images in the poem. What do you see, taste, smell, hear, and feel? What is the imagery of your poetry? TARANA TURAN RAHIMLI: Of course, poetry is a figurative thinking phenomenon. I live in poetry. For me, every poem has its own smell, taste, voice and color. The drawings tell me about a magic world. The images of my poetry are nature, Homeland, love, the world's various problems - in short, the essence of life. TARANA TURAN RAHIMLI: Many of my poems are pessimistic. But this does not mean that there is no love for life in my poems., No passion, etc. DEBORAH BROOKS LANGFORD: In your poetry who is the speaker of the poem? Are you speaking to yourself or to others? DEBORAH BROOKS LANGFORD: What is the message of your poetry? What messages do your poetry convey? 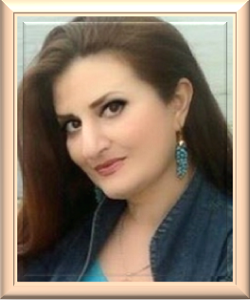 TARANA TURAN RAHIMLI: The message of my poem is humanism and goodwill, the restoration of justice in the world. Message to my poem - you can stop wars with poetry. DEBORAH BROOKS LANGFORD: Does the internet and social media contribute to the success of your poetry? Is this the reason you write for? TARANA TURAN RAHIMLI: Internet and social media to ensure the success of each poet. In today's world without it it is impossible to develop. Virtual dating and friendship with new friends are also very important. 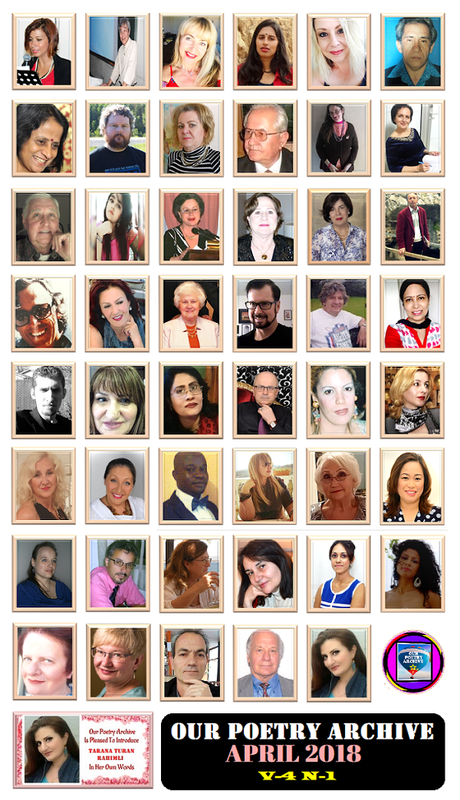 Our friendship with many respected poets and writers began in social networks. Literary sites often publish my poems, articles and poems are published in anthologies. This is a great success. I believe these successes will increase in the future. NILAVRONILL SHOOVRO: Thank you so much dear poet for the interview. We would like to know your personal experience with OPA as a literary web journal. Would you like to share anything more with our readers? TARANA TURAN RAHIMLI: Thank you for taking the interview. The questions were interesting. I do not know how much my answers will satisfy you. But I have tried to answer sincerely. My personal experience with the OPA once again taught me that literature - fulfils a great mission. The OPA Web-journal introduce world poets and value their role in our lives. I am proud to be a member of the OPA poetry family. I hope the OPA and Azerbaijani poets will implement joint projects in the future. Thank you very much for giving my poems on OPA web journal and anthology pages because you value me. God bless you, literature angel Mr. NilavroNill Shoovro! I wish you great success in this sacred path. Dr. TARANA TURAN RAHIMLI is an Azerbaijani poet, writer, journalist, translator, literary critic, teacher, academic, is an active member of the International Literary Agency in Turkey and Azerbaijan. She is a PhD in Philology, Associate Professor of Azerbaijan and World Literature Chair of Azerbaijan State Pedagogical University, author of 7 books and more than 400 articles. 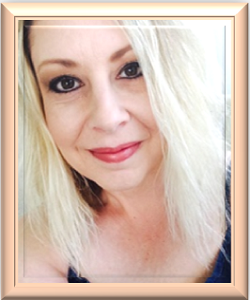 She is the editor and reviewer of 20 monographs and poetry books.The work has been published in more than 15 Western and Eastern countries. Her works were published in Azerbaijan, England, Italy, Spain, USA, Germany, Belgium, Chile, Turkey, Russia, Ukraine, Kazakhstan, Tataristan, Uzbekistan and other countries. 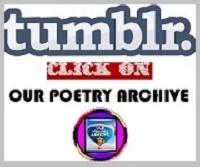 Poems and articles have been published in many international sites around the world, on periodicals and in anthologies. Even you can find the color of my word. You can’t draw my picture. Maybe you may knock down the expectation in my inside. But you can’t be able to see my own being. Some won’t be satisfied with anything. Will be left after somebody. To leave any word in this world. The centuries will cause to forget them. They will reprobate after knowing. And will keep only them.. INSIDE ME THERE IS LOVE EVEN TO A STONE. How cold your looks are! There is no warmth in your words. Snow has been spread on your hairs. Have been kissed by your lips. Your heart is ice, your hands are snow. Till the day they know who they are. They pull the nets inside of them. And the grief turns to a new poem. They shake the hands of rocks. They don’t know the language of destiny. There is God’s light in their hearts. God make this child grow old, but not be adult. They don’t let the words be choked. They die in order to come to life again. There is a such stone centuries beat it, don’t touch that stone! There is such word if told to a stone, it will melt, heart won’t care it! There are those who throw stones unfairly, the unfair stone isn’t thrown. Stone- is your friend at the end of life and it is brother of your grave. The stones built our houses, stones run off from our ways. Stones shed tears for the motion of life, stones whines for grief of life. At the end we harden like stones, at times stones disgust us. The stone of thousand years makes the history remember us. To give the essence of things to philosophers. Or quietly live under the trembling aspens? Or nobody will find my lost tracks? So it's time to say goodbye! All obey the devil's game? Do not think about the dawn in the dark night? Oh, the humanity, we are waiting for? Surely again engulf the wave of the Flood? If EACH nor understand it! ADOLF P. SHVEDCHIKOV: Russian scientist, poet and translator. Born May 11, 1937 in Shakhty, Russia. 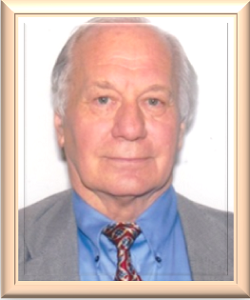 In 1960 he graduated from Moscow State University, Department of Chemistry. Ph.D. in Chemistry in 1967. Senior researcher at the Institute of Chemical Physics, Russian Academy of Sciences, Moscow. Since 1997 - the chief chemist of the company Pulsatron Technology Corporation, Los Angeles, California, USA. Doctor of Literature World Academy of Arts and Letters. 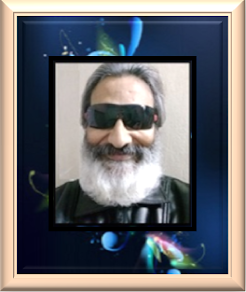 He published more than 150 scientific papers and about 600 of his poems indifferent International Magazines of poetry in Russia,USA, Brazil, India, China, Korea, Japan, Italy, Malta, Spain,France, Greece, England and Australia. He published also 17 books of poetry. His poems have been translated into Italian, Spanish, Portuguese, Greek, Chinese, Japanese, and Hindi languages. He is the Member of International Society of Poets, World Congress of Poets, International Association of Writers and Artists, A. L. I. A. S. (Associazione Letteraria Italo-Australiana Scrittori, Melbourne, Australia). Adolf P. Shvedchikov is known also for his translation of English poetry ("150 English Sonnets of XVI-XIX Centuries". Moscow. 1992. "William Shakespeare. Sonnets." Moscow. 1996) as well as translation of many modern poets from Brazil, India, Italy, Greece, USA, England, China and Japan. In 2013 he was nominated for the Nobel Prize for Literature.